Leadership Resources is the only firm to couple leadership development and strategic planning services with proprietary SMART goals software, called Accelerate. All too often an individual’s goals and objectives are drafted during a meeting, entered into a spreadsheet and forgotten until just before the employee’s next goal-setting meeting. 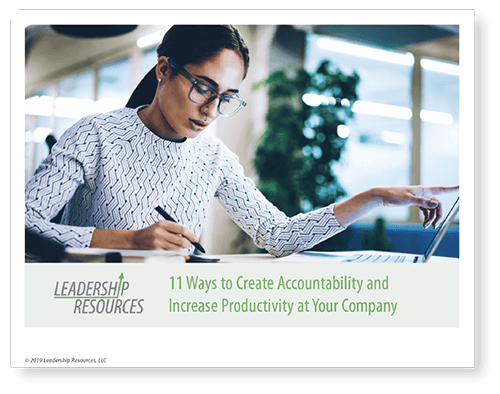 Yet, the accountability and achievement of those goals is key to developing leaders and pushing the organization toward its grander vision. Accelerate uniquely encourages accountability and goal achievement through positive daily affirmation notifications and by requesting daily attention to one’s goal-making progress. Leaders in the Accelerate Leadership Program each receive a license to Accelerate Software. With Accelerate Software, leaders can set SMART goals, provide meaningful feedback and cultivate real accountability within their organization.